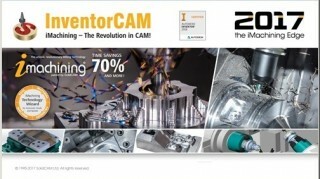 InventorCAM is a new generation CAD / CAM system developed by Israeli firm SolidCAM Ltd (Official distributor in Russia - Consistent Software). This system is a complete solution for the automation of metalworking production. With the use of a wide range of strategies offered by InventorCAM for turning, milling, turning and electro-erosion machining, a technologist can quickly prepare the necessary set of control programs for machining the product.